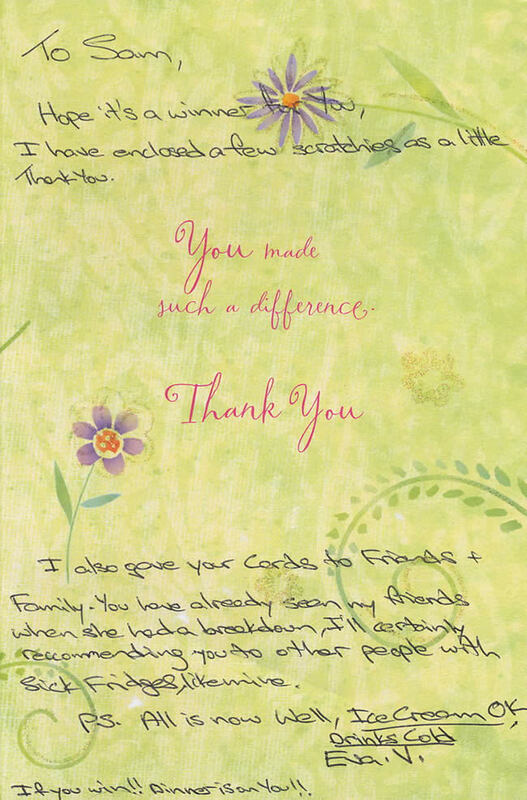 Click on a testimonial to view it. 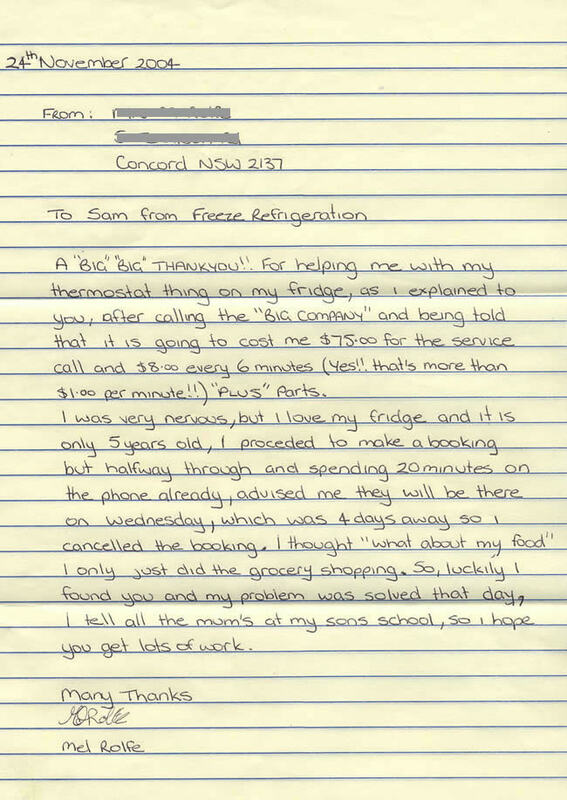 Just a quick message to thank you and your staff for the quick and prompt service you provided in being able to repair and have running again our fridge on Thursday 3rd May 2007. 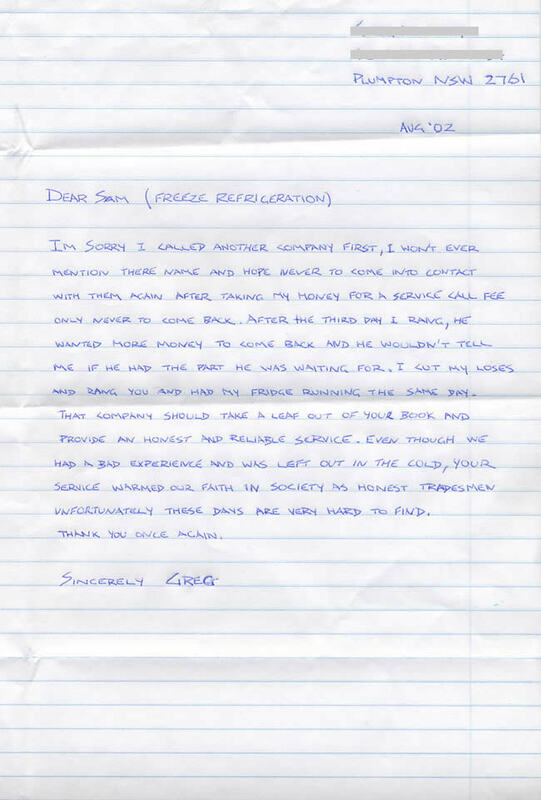 Sam was very professional and courteous. He also was able to describe the problem without the jargon. I will be spreading the word of your companies excellent service and friendly staff. 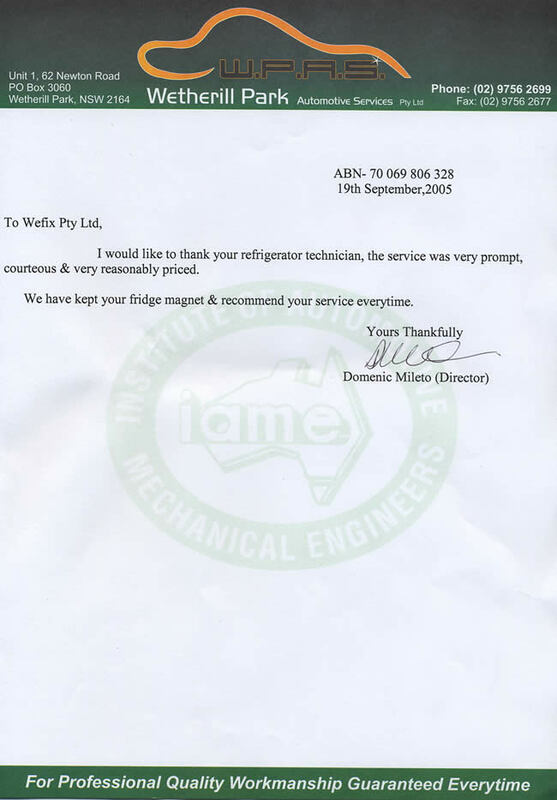 I would really like to Thank you and your company for the honest service we received from your refrigerator service person for fixing our fridge in the most expert manner. 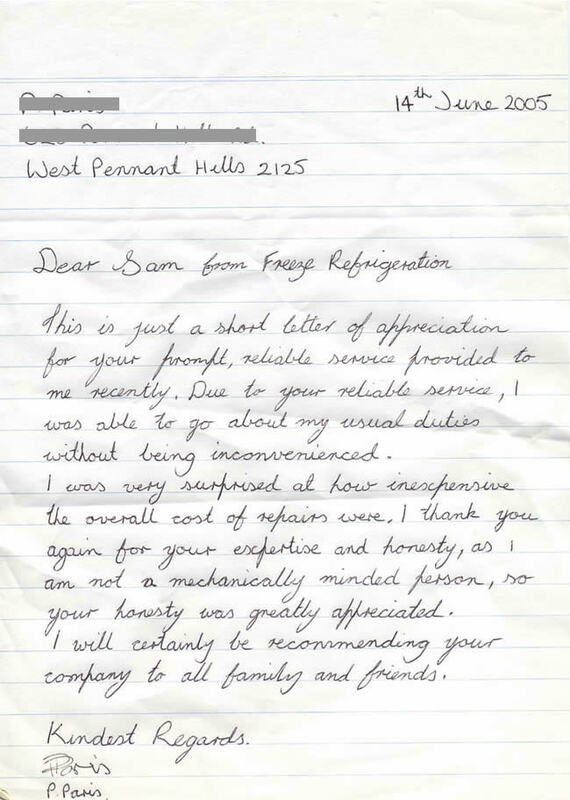 I thought we might need to buy a new fridge, but we were quoted well below what I was expecting to pay for a repair and he had our fridge up and running again within 30mins, all fixed.